Abdominal cavity, computer artwork. The spine is at right, with the aorta, the main artery of the body, at its left. At upper centre is one of the kidneys, which filter waste products from the blood. To its left is the spleen, which is part of the immune system. At centre is the small intestine, with the large intestine at left. 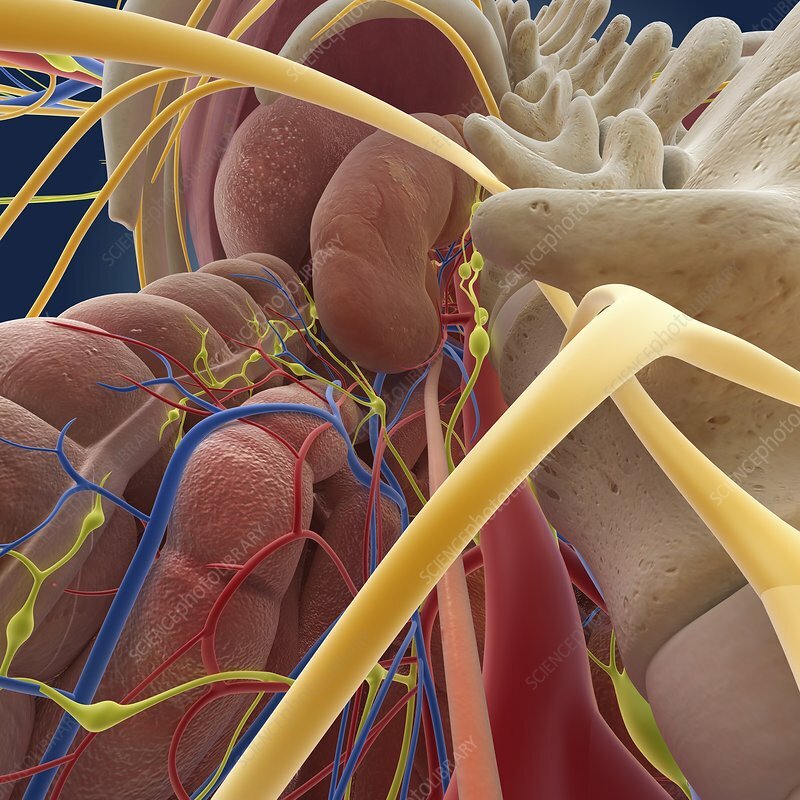 Arteries are red, veins are blue, nerves are orange and lymph vessels are yellow.